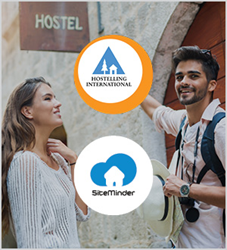 Hostelling International has partnered with SiteMinder in a bid to bolster the online presence of its almost-4,000 hostel members and attract more direct bookings from guests. If the early results prove anything, it is the material value of direct bookings ... in a world that otherwise moves incredibly fast and demands a lot from every accommodation provider. Hostelling International spans hostels in more than 80 countries and is one of the world’s largest international membership organizations. Today’s announcement forms part of a group-wide strategy to diversify the online distribution strategies of member hostels, with bookings from both third-party channels and their direct hostel website. For more information, visit http://www.siteminder.com. For more information, visit http://www.hihostels.com.